When I met Emily, she was a pregnant woman in the jungle. When I heard her story, I was amazed! A double Aquarian like me, she spent 15 years in Venice Beach (where I lived for many years!) and followed the traditional path - working for a fortune 500 and spending 1000s of dollars on clothing and shoes. She had the picturesque life but her heart still yearned for Costa Rica - where she had spent 6 months backpacking out of college. She finally returned to the small surf town she fell in love with before, Santa Teresa, over a decade later, and ended up falling in love with a charming French surfer. Soon she returned, they had a baby & the rest is history. 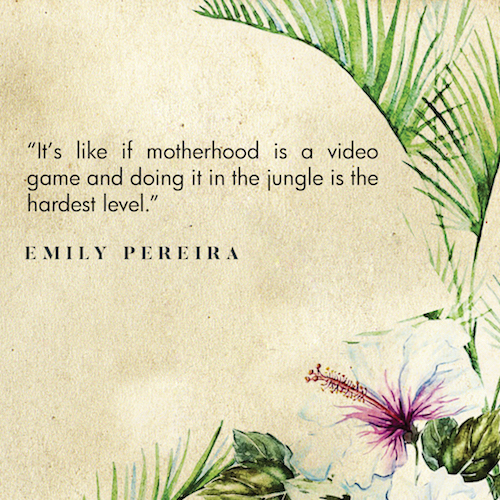 Listen in for more details and epic quotes like this: “It’s like if motherhood is a video game and doing it in the jungle is the hardest level.” Emily is amazing!